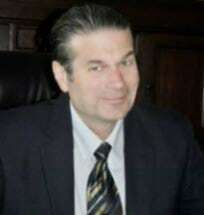 Located in the historic Bradley Building of Cartersville, Georgia, Perrotta, Lamb & Johnson, LLC provide widespread legal representation in many areas of law such as personal injury including motor vehicle accidents, divorce and criminal defense. They represent individuals, families and businesses throughout North Georgia including Cartersville, Calhoun, Dallas and Dalton. With over 100 years of combined legal experience, the law firm of Perrotta, Lamb & Johnson offers individualized attention to each case they handle with an understanding that they work for their clients, not the other way around. They are always available during times most convenient for their clients and always return phone calls and emails within 24 hours. The firm also assigns a dedicated paralegal to oversee the specifics of each case. They want to make sure nothing gets missed and nothing falls through the cracks. Whether you need representation to help recover compensation for a slip and fall injury or workers' compensation claim, Perrotta, Lamb & Johnson can help. They can also defend against a DUI or drug charge, or can represent you in a divorce or other family law matter. The lawyers at Perrotta, Lamb & Johnson take pride in working for you, when and where you need legal representation. Robert and his staff have been amazing thru a few cases that I have needed legal help with. They are always there when you need them, they listen to all your needs, and make you feel like you are the one and only. Everyone is very nice, determined and eager to please. They are not willing to just settle anything. They make sure legally its acceptable, and you are happy as well. If you're not happy, they will do everything on their power to make sure you are. I recommend everyone. I know I will never use anyone else.